Kahlon heads the Kulanu party which, with 10 seats in parliament, is a crucial part of Netanyahu's government. JERUSALEM: Israeli Prime Minister Benjamin Netanyahu raised Sunday the possibility of snap elections following a dispute with his finance minister over a new national broadcasting service. Local papers, radio and television channels carried Netanyahu's threat to dissolve the government -- the most rightwing in the country's history -- if the Public Broadcasting Corporation (PBC) isn't dissolved before its scheduled start date on April 30. Netanyahu, whose Likud party is part of a slim parliamentary majority, has long been opposed to the new service but he appeared last week to reach an agreement with Finance Minister Moshe Kahlon, before rowing back. 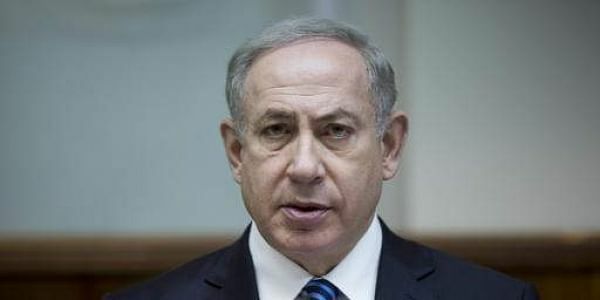 "You cannot have a situation in which Likud respects all coalition agreements while small parties don't keep their commitments on important points," Netanyahu said in remarks broadcast Sunday by public radio. Some media suggested Netanyahu had deliberately triggered the cabinet crisis as a way to deflect attention from a long-running investigation into alleged corruption that has seen him questioned several times by police in recent weeks. He is known as being committed to reforming Israel's public broadcasting and is reported to have held talks with opposition leader Isaac Herzog of Labour on Saturday evening as the row dragged on. Several ministers and Likud MPs are known to be against a snap election, and it is thought unlikely that rightwing and ultra-Orthodox parties would countenance joining a more centrist government. The PBC is officially meant to revigorate Israel public broadcasting in an age when private channels have an increasing share of viewers. It is set to begin broadcasting on April 30 and a team of some 400 staff have already started work. But it is expected to lead to some layoffs in Israel's existing public broadcasting service, something Netanyahu has used to attack the PBC. Allies of Netanyahu, who gave himself veto power over media issues when forming his cabinet in 2015, have suggested the new institution would cede too much control from government. Culture Minister Miri Regev last year said it would be "inconceivable to establish a company that we wouldn't control. What's in it for us?"